2-year Supreme Protection Plan had been suspended with effect from 1st August 2016. If you have purchased a specific product before 1st August 2016, and the said product is a Canon Digital Single Lens Reflex Camera or a Canon Digital Camcorder which is under Canon’s 2-year Supreme Protection Plan (the “Supreme Protection Plan”) as stated on the Purchase Record Card , please ensure that you complete the warranty registration within 30 days after the date of purchase (i.e. no later than 31st August 2016) for the product to enjoy the 2-year Supreme Protection Plan services. Any specific product purchased with warranty registration successfully completed before 1st August 2016 will not be affected. Additional 3-month Warranty (for Basic Warranty Services in Hong Kong and Macau)# had been suspended with effect from 1st August 2016. If you have purchased a product before 1st August 2016, please ensure that you complete the warranty registration within 30 days after the date of purchase (i.e. no later than 31st August 2016) for the product to enjoy the additional 3-month warranty offer. Any product purchased with warranty registration successfully completed before 1st August 2016 will not be affected. #Additional 3-month Warranty is not applicable to Scanner, Projector (not being a mini projector), Binoculars, Communication camera, Facsimile, Calculator and Personal Copier. If you complete the product warranty registration within 30 days from the date of purchase1 of the product, then the warranty set out in these terms and conditions will apply. 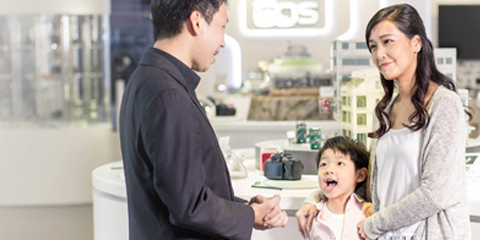 If you purchase Canon EOS Digital SLR Camera, ,Mirrorless (EOS R),Mirrorless (EOS M), EF Lens or Digital Compact Camera from Canon Hong Kong or Macau authorized dealers, register product warranty and Canon Asia Traveller Protection Programme (ATPP) membership within 30 days from the date of purchase, then the warranty set out in these terms and conditions will apply. You may also enjoy ATPP repair services upon successful registration within 1 year from the date of purchase. If you purchase a Canon product is those listed in Clause, a Purchase Record Card will be included. This warranty only applies to the product with the model number and serial number written on, as the case may be, the Purchase Record Card (the "Product"). Subject to Clause 1, the Purchase Record Card (as the case may be) and your original invoice entitles you to warranty services set out in Clause 6 for the period from the date of purchase set out in Clause 5 (the "Warranty Period"), provided that the Purchase Record Card (as the case may be) is stamped by an authorized dealer of Canon Hongkong Company Limited (“CHK”) and dated with the date of purchase. The Purchase Record Card (as the case may be) and the original invoice for the Product must be presented when making any claim under this warranty. If the Product is located in Mainland China, then the Supreme Protection Plan shall not apply, and this warranty shall be the sole warranty granted by CHK in respect of the Product. You must return your Purchase Record Card to CHK for exchange whereupon CHK will notify you of the warranty provisions that apply in that territory. If the Product is Canon EOS 6D Digital Single Lens Reflex Camera, then this warranty will only be valid if the Product was purchased in Hong Kong or Macau, in which case the applicable Warranty Period is 1 year from the date of purchase of the Product and the warranty services may be sought in Hong Kong, Macau or Mainland China. Inspection and Repair for GPS function could not be sought in Mainland China. If the Product is a Canon Film Single Lens Reflex Camera or a Canon Portable Bubble Jet Printer model PIXMA iP100, then this warranty will only be valid if the Product was purchased in Hong Kong or Macau, in which case the applicable Warranty Period is 1 year from the date of purchase of the Product and the warranty services may be sought in Hong Kong, Macau, Mainland China, and in any territory in which CHK agrees to provide warranty services for that Product. If the Product is a Canon Lens, Canon Speedlite, Mirrorless (EOS R), Mirrorless (EOS M), Canon Digital Single Lens Reflex Camera (Please click here to view the models applicable to this term and condition), Canon Video Lens, Canon Digital Camcorder (Please click here to view the models applicable to this term and condition), or a Canon Compact Photo Printer (only for dye-sublimation base), then this warranty will only be valid if the Product was purchased in Hong Kong or Macau, in which case the applicable Warranty Period is 1 year from the date of purchase of the Product and the warranty services may be sought in Hong Kong, Macau or Mainland China. If the Product is a Cinema EOS Camera, EF Cinema Lens, Canon Battery Grip, Canon Wireless File Transmitter, Canon Binocular, Canon Scanner, Canon Bubble Jet Printer (not being a portable printer), Canon Multi-function Printer, Canon Laser Beam Printer, Canon Web Camera, Canon Visualizer, Canon Personal Copier, Canon Laser Facsimile, Canon Document Scanner,Mini Photo Printer or Canon Large Format Printer, then this warranty will only be valid if the Product was purchased in Hong Kong or Macau, in which case the applicable Warranty Period is 1 year from the date of purchase of the Product and the warranty services may only be sought in Hong Kong or Macau. If the Product is a Canon Projector (not being a mini projector) , then this warranty will only be valid if the Product was purchased in Hong Kong or Macau, in which case the applicable Warranty Period is 2 years from the date of purchase of the Product and the warranty services may only be sought in Hong Kong or Macau. If the Product is a Canon Mini Projector , then this warranty will only be valid if the Product was purchased in Hong Kong or Macau, in which case the applicable Warranty Period is 1 year from the date of purchase of the Product and the warranty services may only be sought in Hong Kong or Macau. If the Product is a Canon Calculator or Canon Electronic Dictionary, then this warranty will only be valid if the Product was purchased in Hong Kong, in which case the applicable Warranty Period is shown on Purchase Record Card and the warranty services may only be sought in Hong Kong. If the Product is not easily accessible by CHK representatives without the use of tools or equipment. If the Product is a Canon Photo & Laser Printer with “Carry In” stated on the Purchase record card, warranty services may be sought in Hong Kong and Macau only if the Products is delivered to our designated service centers. You may request for free pick-up and delivery for the repair of any Canon Photo & Laser Printers with “Free pick-up and delivery service” stated on the Purchase Record Card. To repair printers within Warranty Period, please call 3191 2333 to arrange for the free pick-up. For printers out of Warranty Period, an inspection fee will be collected during the pick-up. The printer will be delivered back to you free of charge upon completion of the repair service. The inspection fee will be deducted from the repair service charge and the balance of the repair service charge will be collected upon delivery. Without prejudice to the aforesaid, CHK reserves its right to charge for repair service at any reasonable and appropriate time to be decided by CHK. On-site pick-up and delivery service are only available to Hong Kong Island, Kowloon and the New Territories but not to outlying islands, restricted areas and Macau. Canon Photo Printers with “Carry-in warranty” models, please click here. (c) Canon Laser Printers with “Carry-in warranty” models, please click here. The productions of the Product, its accessories and spare parts have been discontinued. LCD protector affixed to the Product. This warranty shall be automatically cancelled if the Product or any part(s) thereof are modified, tampered with, altered, converted or repaired in anyway by anybody other than the staff or authorized service providers of CHK. CHK’s decision to cancel this warranty shall be final. Canon may reset the Product’s settings to factory default setting in the course of inspection/repair/parts replacement without prior notice to you. Any replaced damaged/defective parts shall be Canon’s property and non-returnable. If the Product is unable to repair or the model has been discontinued or is otherwise unavailable, Canon may at its sole and absolute discretion to replace the Product by similar model. Notwithstanding anything herein contained, CHK shall not be liable to the user or any third party whatsoever for any damage, loss, liability (save and except for any personal injuries or death) or failure to provide maintenance services under this warranty in respect of any act, omission or negligence of any technician, employee or independent contractor of CHK relating to the performance or purported performance of any obligations under this warranty. You shall bear the risk and be responsible for all damage, injury or loss (including consequential loss, loss of profit, injury or damage) arising directly or indirectly out of or in connection with the service, delivery, or use of the Product. The maximum liability of CHK under this warranty shall be restricted to the replacement value of the Product. This warranty shall not extend to anyone other than the original purchaser of the Product. CHK shall be entitled to transfer or assign all its rights and obligations under the warranty to any company in Hong Kong which is associated with CHK. Unless the warranty services for the Product include on-site repair under Clause 5, the warranty services under this warranty will only be performed if the Product is picked up / delivered to our designated service centers. CHK shall not be responsible or liable for any insurance coverage in relation to the Product. The terms and conditions of the warranty for Products purchased in Hong Kong and Macau are renewable upon expiration subject to payment of a fee determined by CHK (including the free basic product warranty or those products that are eligible for additional warranty under specific terms and conditions). Please click here to apply CANON PLUS Extended Warranty Service. The terms and conditions of any warranty are subject to change by CHK without prior notice. CHK reserves the right to amend or cancel any of the above terms and conditions of Warranty without prior notice. CHK reserves the right to terminate the warranty in the event of any uncertainty or doubt as to the applicability of these terms and conditions. In case of any dispute, CHK reserves the right to make the final decision. This warranty shall be construed and governed by the laws of Hong Kong. For enquiries, please contact our Customer Service Hotline at 3191 2333. In case of any disputes, CHK reserves its rights of final decision. 1 According to the date of purchase as stated in the original invoice or receipt issued by the authorized dealers. The end date of the Warranty Period is also calculated from this date of purchase. 2 For updated Canon service network in Mainland China, please either visit http://www.canon.com.cn or call (86) 4006 222 666. 3 To protect your legal rights, please check the Purchase Record Card carefully to see if the contents are accurate.